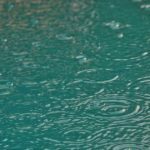 Watching the downpour from a summer rainstorm teem across the surface of your pool is a great sight, but it’s important to remember that heavy rain can affect your pool’s water quality. A heavy storm with lots of rainfall can change the chemical balance in the pool water, overflow your pool, and introduce contaminates from the air, rain, and runoff. Rainwater is acidic (the level of acidity depends on where you live) and naturally has a lower pH level than pool water. 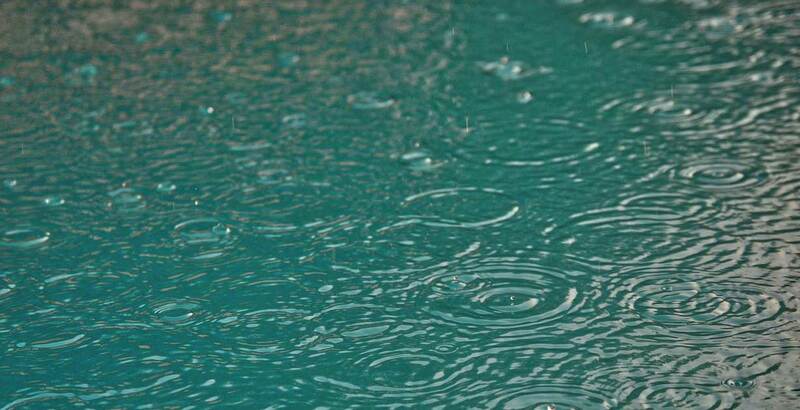 If enough rain fills a pool, it can lower the pH levels. This directly affects swimmers’ comfort — when people complain of burning eyes from pool water, it’s not because of too much chlorine, but because of low pH. Besides acidity, a heavy storm can bring foreign contaminants into your pool that also could have a negative impact. Without proper drainage around your pool, water runoff can introduce elements that can change the calcium, hardness and alkalinity in your water, as well as bring in dirt and debris that can damage surfaces and equipment. 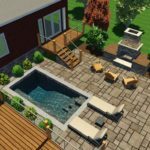 Heavy rains can also deposit airborne debris and algae spores into water, which can, along with the chemical imbalance, lead to quicker algae growth — and nobody wants a green pool. What does this mean for you as a pool owner? It means that it is important to have your pool water checked weekly to ensure the best chemical balances to prevent recreational water illness and protect the lifespan of the equipment and swimmers’ comfort. 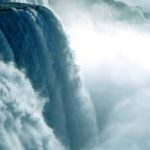 You’ve created the pool you’ve always wanted, and, just like your car, your boat, or your body, you need to keep it finely tuned. We at Precision Pool and Spa offer weekly water testing for chlorine, pH and overall alkalinity, to help keep your pool in top shape. By performing weekly tests, we can keep the water at the optimal balance for the health of your pool avoiding excessive chemical corrections. For more information, check out our service programs where we test you pool and keep it in balance. 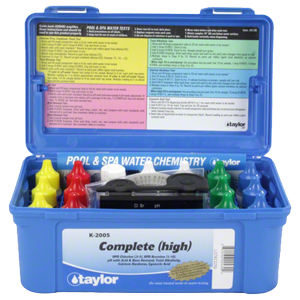 A proper test kit is your security blanket in knowing you have the right levels for your pool. The most reliable and accurate kits are still the most essential.